Of late, something in the pile of input devices attached to my main PC has been feeding occasional bursts of upward scroll commands, to the extent that editing long documents (something I do quite a bit of, oddly enough) was becoming difficult. 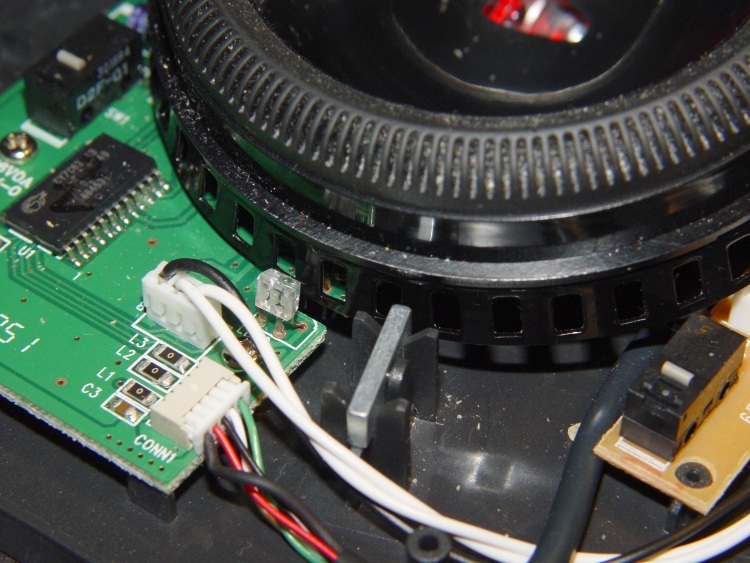 By process of elimination, the culprit turned out to be the Kensington trackball to the left of the keyboard: unplugging it eliminated the problem. The case becomes transparent in pure IR, so you can see the metal lead frame inside. I think they’re using the gaps between the leads to enhance the contrast of the scroll ring edges passing through the beam: absolutely no IR except when a gap aligns with a scroll ring opening. 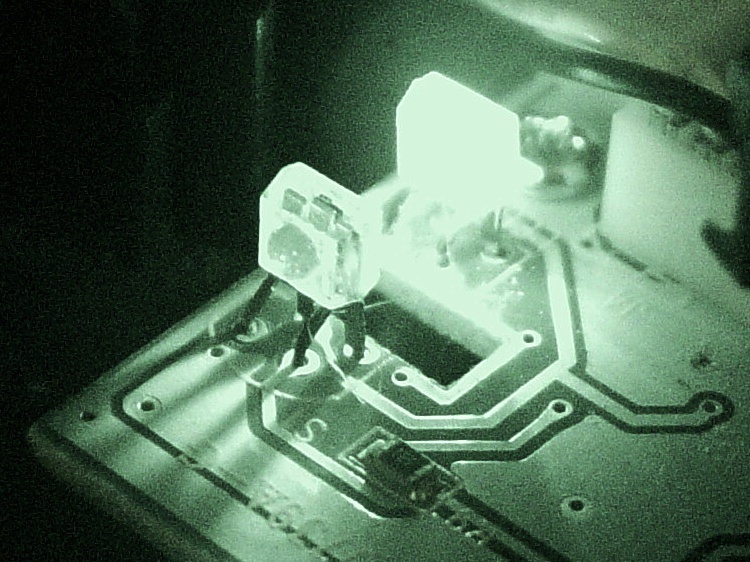 That would also explain why the pair seems so sensitive to alignment: there’s very little IR hitting the detector, because the IR illumination passes through the transparent-to-IR case and vanishes out the far side, with only a tiny bit reflected to the sensor! Just got the Problem with my Scroll ring and thanks to your blog i digged a bit deeper. 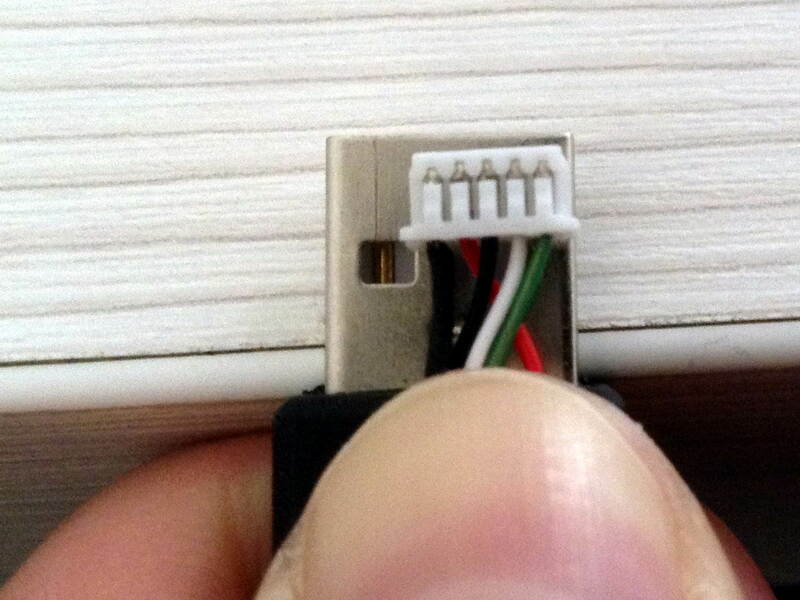 I checked this while connected and i found that bending worked only for a short time, so i gave a closer look to the contacts. 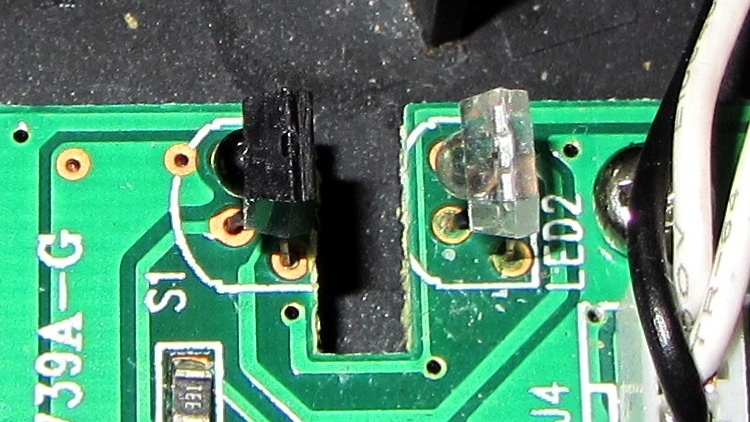 all are soldered from below BUT two contacts are on the upper side. ps. the size of the cuts in the metall from the scroll ring differ, a shame for that price.. The oddly named Kensington “Expert Mouse” (it’s a trackball) sits to the left of my keyboard, where it serves as my main pointer controller; I’m right-handed, but have used a left-hand mouse / trackball for years. [Edit: a comment from the future compares it with a different trackball that may work on the right. Recently the scroll ring has become balky, stuttering upward & downward rather than actually scrolling. 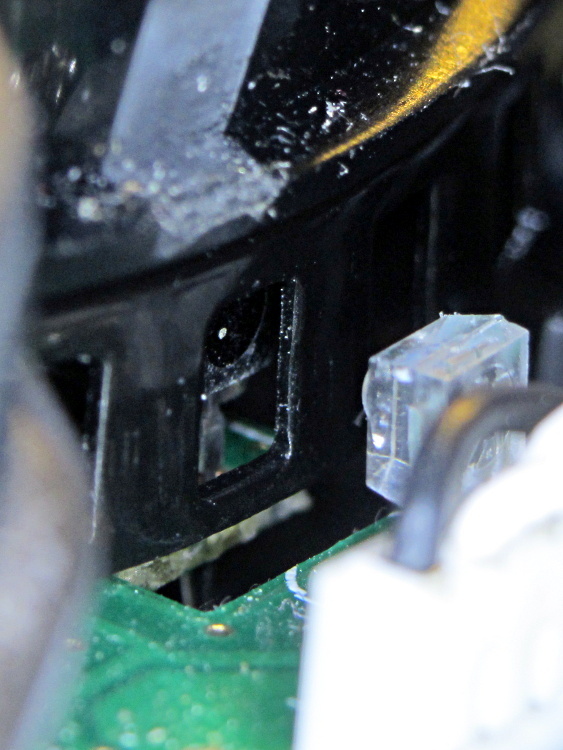 It’s an optical device, so I suspected it had ingested a wad of fuzz that blocked the beam path. 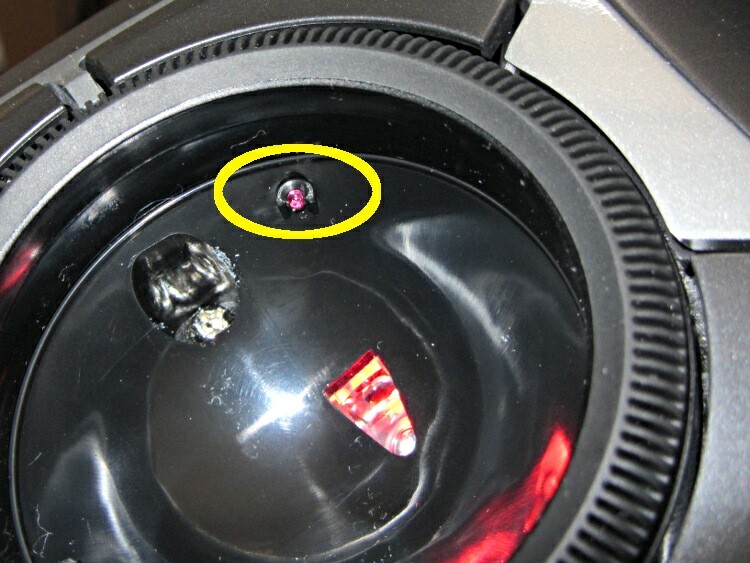 The top photo shows the infra-red emitter adjacent to the scroll ring’s slotted rim. 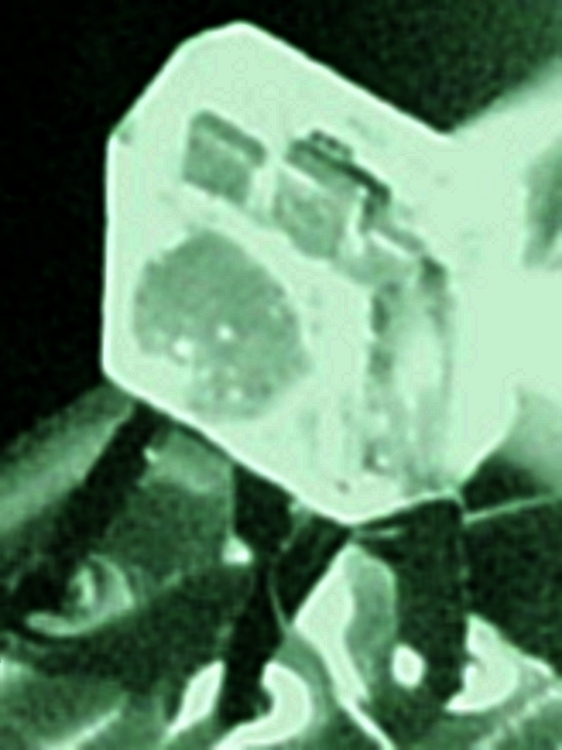 The silver bar to the right of the emitter is the magnet that provides those soft detents. There’s no obvious fuzz. Tip the ball out into your hand and put it where it can’t possibly roll off the desk. Peel the four rubber feet off the bottom, remove four screws, and the top half of the body pops off. Remove three screws from each of the two button cap assemblies and pry the button caps off the case bottom. Remove two screws from the ball socket, pull it off, and clean any fuzz from the openings. Surprisingly, I didn’t find much crud at all. 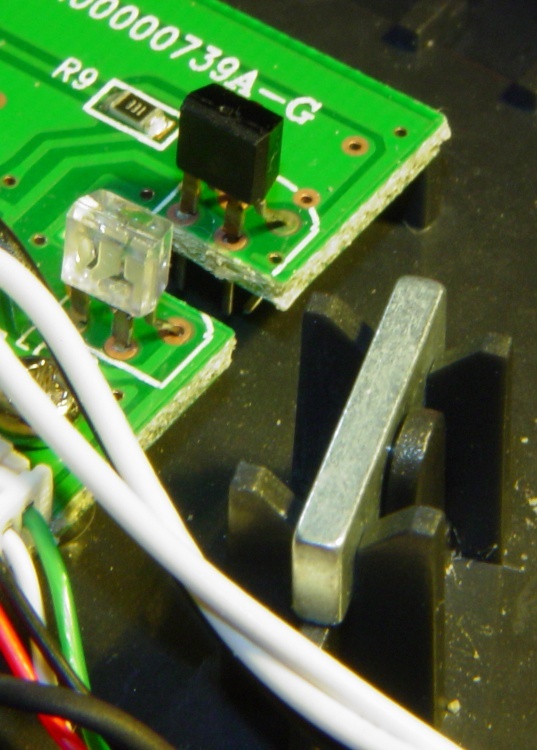 They both seem to be dual elements, which makes sense for a quadrature position encoder. Unfortunately, replacing them seems to be really difficult; they don’t look like stock items. So I put it back together, plugged the USB cable in, restarted the X server (this being Xubuntu 8.10), and it pretty much works again. Kensington replaced a previous Expert Mouse under warranty when one of the three minuscule red bearing balls that support the trackball went walkaround, but that gadget had been getting erratic, too. I’m not sure what’s going on, but I have a bad feeling about this. The FDI file is similar to the one I used for Xubuntu, with the exact match changed to a partial match. For some reason, the exact match seemed to not work. Because the XFCE4 Mouse configuration utility sets handedness on a per-mouse basis, you need not swap buttons 1+3 here. I did, anyway, and the mouse automagically came up left-handed. I swapped 2+8, the top two buttons, putting the browser “back one page” button at the upper left and the “open in new tab” button at the upper right. And, for whatever reason, the scroll ring now works perfectly without the least hint of stuttering or jamming. As mentioned there, Ubuntu prohibits having two mice with different handedness. Xubuntu enumerates the various mice and allows you to set their handedness separately. This file swaps the upper two buttons. The scroll ring operates intermittently. I no longer believe it’s a hardware problem, as I have two Kensington trackballs and both behave the same way. I’m guessing the evdev driver has trouble with button pushes from two devices, but that’s just a guess. Sometimes it works perfectly for hours on end, other times it jams up first thing in the morning. 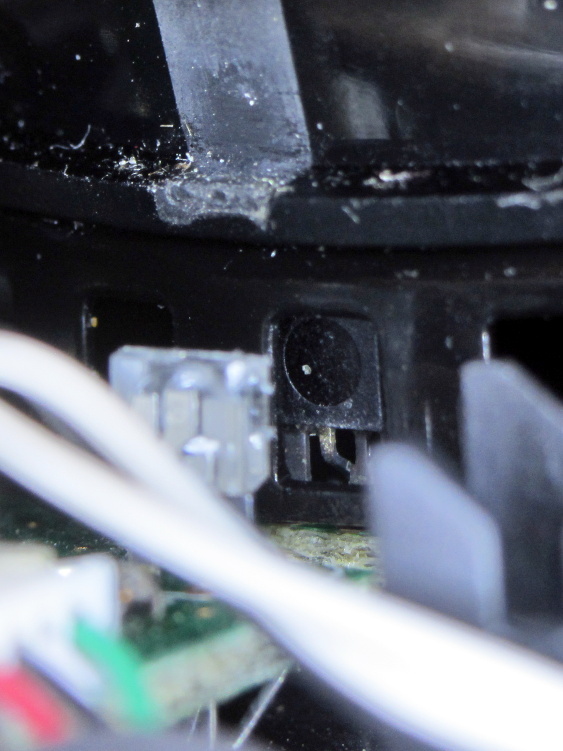 Restarting X helps, which indicates the hole isn’t in the trackball’s end of the boat. You have searched the archives for kensington scroll.